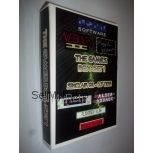 Guitar Hero PAL for Sony Playstation 2/PS2 from Red Octane (SLES 54132) 20 days, 03h:40m:10s £1.58 Buy now! FIFA Football 2005 PAL for Sony Playstation 2 from EA (SLES 52559) 20 days, 22h:08m:25s £1.25 Buy now! Medal Of Honor: Frontline PAL for Sony Playstation 2/PS2 from EA Games (SLES 50684) 21 days, 00h:35m:51s £1.25 Buy now! Pro Evolution Soccer 2008 (PES 2008) PAL for Sony Playstation 2/PS2 from Konami (SLES 54913) 21 days, 13h:35m:07s £0.75 Buy now! Singstar Pop Hits PAL for Playstation 2 by Sony (SCES 54570) 22 days, 20h:06m:38s £2.63 Buy now! FIFA 06 PAL for Sony Playstation 2/PS2 from EA Sports (SLES 53529) 22 days, 21h:18m:54s £0.53 Buy now! Gran Turismo 3: A-Spec PAL for Sony Playstation 2/PS2 from Polyphony/Sony (SCES 50294) 22 days, 23h:49m:26s £1.58 Buy now! Eragon for Sony Playstation Portable/PSP from Sierra (ULES 00474) 23 days, 18h:08m:15s £1.05 Buy now! The Golden Compass for Sony Playstation Portable/PSP from Sega (ULES 00950) 24 days, 13h:19m:52s £2.10 Buy now! MotoGP PAL for Sony Playstation 2/PS2 from Namco (SCES 50034) 24 days, 17h:05m:33s £1.58 Buy now! Ultimate Mind Games PAL for Sony Playstation 2/PS2 from Midas Interactive Entertainment (SLES 51625) 25 days, 00h:03m:18s £1.05 Buy now! Grand Theft Auto III for Sony Playstation 2/PS2 from Rockstar (SLES 50330) 25 days, 17h:26m:10s £3.15 Buy now! Gran Turismo 3: A-Spec PAL for Sony Playstation 2/PS2 from Polyphony/Sony (SCES 50294) 25 days, 21h:12m:59s £1.75 Buy now! Stuntman Strategy Guide / Walkthrough 26 days, 23h:50m:42s £3.95 Buy now! Spiderman 2 27 days, 00h:11m:13s £4.95 Buy now! Chili Con Carnage 27 days, 00h:11m:13s £9.95 Buy now! Wipeout Pure 27 days, 00h:19m:22s £8.95 Buy now! Peter Jackson's King Kong 27 days, 00h:19m:22s £6.95 Buy now! Tiger Woods PGA Tour 07 PAL for Sony Playstation 2/PS2 from EA Sports (SLES 54253) 27 days, 01h:08m:38s £1.05 Buy now! Gangs Of London 27 days, 01h:10m:46s £3.95 Buy now!